Iris Prima launched last fall, one of two 2013 fragrances from British niche house Penhaligon’s (the other was Vaara). I'm always happy to see a new iris, especially a unisex one. Iris Prima, like Vaara, has a great backstory: it was developed in collaboration with, and inspired by, the English National Ballet, and the tag line is "The spirit of the ballet. Bottled." This of course made for all sorts of ballet-related promotional activities, including the lovely "ballet flash mob" at Saks in San Francisco and the liberal use of ballet shoes for displays (see here and here). That said, Penhaligon's is admittedly not one of my favorite perfume houses. Other than Vaara, which I was lukewarm about, the only other Penhaligon's scent I've ever reviewed was Lily & Spice, which I was, likewise, lukewarm about, and the only Penhaligon's fragrance that has ever made my buy list was perfumer Olivia Giacobetti's brilliant spice-fest Elixir, a modern take on the brand's classic Hammam Bouquet. Like Kevin, I was impressed with the opening of Juniper Sling, but not so enthralled with the dry down. 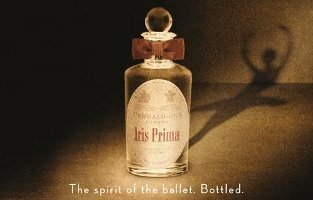 Iris Prima was developed by perfumer Alberto Morillas, who worked with dancers Nathan Young and Laurretta Summerscales of the English National Ballet. The opening is lovely, if more delicate — and feminine — than I'd have expected from a unisex scent. There is plenty of iris right from the outset, rather green and dewy in the beginning, then lightly spiced and layered under transparent floral notes (the notes: bergamot, green amber, pink pepper, iris, jasmine, hedione, paridisone, leather, sandalwood, vetiver, vanilla and benzoin). The base is warmer and drier and woodier, and yes, you could reasonably call it a unisex after an hour or so on skin, as a pale, smooth leather (more like a suede, in perfume-speak) comes to the fore. Still, the base notes are light and mostly clean, and while it's not at all overly sweet, the vanilla and benzoin temper what might have otherwise slipped full-on into masculine territory. Verdict: Iris Prima is very well done. It's undemanding and easy to wear, but has a polished, low-key sophistication. It came far closer to capturing my affections than Vaara, which I tended to forget as soon as it faded from skin. If you've never found your perfect iris, Iris Prima is certainly worth sampling. Personally, I found it to be tamer than I'd hoped — my typical complaint with Penhaligon's in general, and one which echoes many of the reviews I've read on Iris Prima. The Candy Perfume Boy found it lovely but "perhaps a little bit too understated for my tastes". Victoria at Bois de Jasmin quite rightly points out that you can find the same polished, low-key sophistication in Prada Infusion d'Iris, and for less money; you can amp up the luxury — and still spend less — with Infusion d'Iris Absolue. For a bolder take on a unisex iris, you might try Aedes de Venustas Iris Nazarena. Have a favorite from Penhaligon's? Do comment. Penhaligon's Iris Prima is available in 50 ($125) and 100 ($160) ml Eau de Parfum. For buying information, see the listing for Penhaligon's under Perfume Houses. I agree with you that Iris Prima feels unisex (slightly more feminine in the opening) and that it has a lot of iris from the start and that feels a little bit rooty and carroty, then powdery comes to the front. I find the base to be bright and somewhat “dusted” and I had the same feeling, that this leather feels more like a suede. It is a very appropriate perfume, for various occasions and yes, it IS undemanding. As far as I really like it – this iris didn’t make it into my collection. Hi, lucasai. I just wanted to say thanks again for your iris recommendations. I’ve ordered a few samples from STC. I’ll let you know how it goes. You’re welcome! I can’t wait to hear if any of them will be a hit for you. Not an iris fan, so I haven’t bothered to snag a sample of this one. I do *like* Infusion d’Iris (the Absolue is too orange-blossom-soapy for my taste) and own a mini that gets used, but the whole idea of this one was a yawn for me. My favorite Penhaligon’s scents are Violetta, which I call a perfect violet, and the Anthology Collection Eau Sans Pareil, which I find a drier, less-floral version of Deneuve. I’m still waiting to catch that one at discount. I should try Violetta again, haven’t in years. But ditto — waiting to find a really good bargain on Elixir, so far, no dice. I did snag Violetta at a discount, but no luck with the other. Hi, mals. I’m hoping you’ll take a moment to tell me what you don’t like about iris. It seems many people here are in love with it. My only experience with it (distant) was enough to stop me in my tracks, and I don’t recall which perfume it was. My only recollection is boiled carrots, which is an absolute no for me. Neither carrot seed nor carrot tops. Luckily lucasai gave me some recommendations for irises lacking that note, so I’m keeping an open mind. I love violet fragrances, but am often disappointed by that Pez candy aspect. There is some sort of old-fashioned violet candy lozenge still in production, and I don’t want that. What’s your experience with Violetta? It’s not so much that I don’t like iris as that I don’t find it really compelling. I am an avowed floral-lover, and I tend to prefer fragrances where iris is a backup singer rather than the focus. Anything NAMED “Iris something” is likely to bore me – exception Iris Poudre, which I love for its aldehydes up top and its softly powdery, creamy benzoin drydown, but which many iris-lovers find un-irisy. I do like it for the texture it seems to have, especially in the background, because it seems satiny and powdery. I don’t like the very-rooty/earthy ones, and sometimes iris can just seem cold. I liked Mythique, which is a lovely cool suede, but it was so faint I could barely smell it. I get on fine with Infusion d’Iris, but I don’t love it. Oddly, though, I sort of liked Iris Silver Mist for being all carroty. I loved smelling it, can’t imagine wearing it. Violetta is very simply violet blossoms – sweet rather than powdery – crunchy-green violet leaves, and cedar/light woods. That’s it. Seems that when I want violet, that’s all I want. As soon as you said you were liable to find iris-focused fragrances boring I started to wonder about Iris Silver Mist, lol. Whatever else it is – it isn’t boring! I do find many iris-types to be ‘boring’, e.g. The Crabtree&Evelyn and the Acqua di Parmas. For an unusual violet experience (dry-metallic, violet incense), Stephen Jones is worth a try. Of the many perfumes I regret that I don’t own, Stephen Jones is very near the top of the list. I will probably never buy it though. That sounds unbearably sad – not because SJ is so extraordinary – but because you really OUGHT to have the perfumes you most love. Can you not sell some of the less loved ones you have in order to justify a new bottle? Oh, not sad at all…I have so many beauties! I will never have them all, but really, it seems almost sadder to get them all and have nothing else to look forward to, right? Yeah, Stephen Jones is pretty wacky. Neat, though. Ooh, the Stephen Jones sounds lovely. Thanks for mentioning it! Merlin, I am a firm believer in that. Too much of a good thing usually is really too much. Thanks so much, mals. Violetta sounds like a must for me. I adore florals as well. Actually, describing iris as “cold” intrigues me as I sometimes like that. Ditto aldehydes, powder and benzoin. But not cold boiled carrots. I like Amaranthine, although I don’t get the notorious dirty bits. Maybe I’m hyperosmic to the musks. They smell great, though! Now I’m curious about Elixir. Yes, I own Amaranthine – something of an impulse buy – but I rarely wear it. I have a feeling I’ll get back to it one day though. It’s like nothing else I own. It does seem to conform to Penhaligon’s intent to capture, tame and bottle scents from exotic – British Empire – locales. Amaranthine reminds me of Somerset Maugham’s short stories, ‘Rain’, for instance. The first time I tried it I thought I loved it, but on further tries I began to increasingly dislike it. I suspect there is just something about ‘exotic’ perfumes that I don’t like. By ‘exotic’ I mean heady white florals or coconut, or with Amarinthine the yang-ylang banana aspect. Its kind of a pity because I met the guy I have been seeing four years ago on a dating site on which I used ‘Amarinthine’ as a user name. So it would have made a nice anniversary gift, lol! Oh, I forgot Amaranthigh… my 5ml decant is half gone because I actually wear that one. But it’s not dirty on me, either. That, or I’m not picking on whatever skank is in there. At the same time, I won’t be replacing my decant when it’s gone; I have plenty of tropical florals. Mals, you made me realize its not so much exotic perfumes I have problems with as tropical florals. I hereby officially proclaim you my evil scent twin! If you are open to being twinned, that is…. Sigh, it all seemed so tidy, lol! I do like Heure Exquise. Much prefer No. 19, though. No. 19 might actually be my favorite iris, if that tells you anything. i like Artemisia and get compliments when I wear it. That used to be a huge favorite on the MakeupAlley fragrance board. I am a longtime user of Penhaligon’s Bluebell, which always gets me compliments; have also used their Lily of the Valley, which is gorgeous; my husband is a sometime user of their Blenheim Bouquet. I tried Peoneve recently for the first time & liked it, but I think I’ll stick with Bluebell (despite Tania Sanchez & Luca Turin’s deep dislike of it!). Bluebell is classic Penhaligon’s — that one & Artemisia, mentioned just above, are what I think of when I think of Penhaligon’s. Robin, thought you might like to hear this tale – I have a good, if occasional, relationship with Alex at Penhaligon’s in Edinburgh, my nearest store, albeit over 100 miles away! Someyears ago when I first met him I was buying more Bluebell, & also a few gifts, & we got chatting – if memory serves he’s involved in their fragrance development – I ended up with a freebie of a very large bottle of Bluebell bath oil (it was ex display & minus its box) – of course I decanted it & distributed it to friends, but it’s absolutely glorious & can actually be used (sparingly) as a body moisturiser after showering, if you’re someone who doesn’t care for baths. I’ve only tried I Prima from a vial and it could have been a contender if I didn’t already have my iris holy grail in TDC Bois d’Iris. I should revisit the vial. I love Vaara, own a bottle of it, and think that it’s divine when applied generously. I’m a fan of many in the Penhaligon’s line, but the line is so large that it has many misses also. Elixir is great (I have the bath oil), and I’m also a big fan of Zizonia, Night-Scented Stock, Orange Blossom, Amaranthine, and others. Hey, what’s wrong with multiple iris holy grails, LOL…I have at least 3. Bath oil, I didn’t even know they made that. Will investigate. I think they might have been doing away with it; I picked it up on their site during some kind of half-price closeout. However, I see it’s available at some discounters right now. I highly recommend it. You know what’s interesting is that I’ve also become a lover of Giacobetti’s original Costes in lotion form, and I find there to be a nice overlap between that and Elixir: they push similar spicy-incense buttons. Both are fantastic. Interesting…will have to price the lotion and peek around at discounters for the Elixir. Huge thanks! I completely agree with ‘tame’. For something that claims to go behind the scenes of the ballet, it isn’t nearly visceral enough. I read that somewhere. There’s probably a drop in lots of scents these days, it’s cheap, after all! It’s true that wouldn’t usually scare me off, but not sure I have tried Endymion. Will put it on my list, thanks. I adore iris fragrances and have far more than I should. My latest purchase was Atelier Cologne’s Silver Iris which I love. 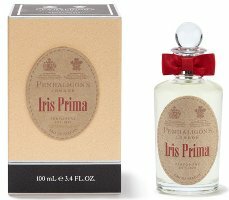 I’ve always tried to like Penhaligon (being a Brit) and was hoping Iris Prima would do it for me but I found it a little too mild and unassuming. My favourite from the line is Amarinthine which I occasionally wear in the summer. I have far more than I should too! I love iris scents but are almost always disappointed with the ones I try. FM Iris Poudre and Prada Id’I Absolue are my top two. So far ;). I tried Iris Prima last autumn in London and liked it very very much but stopped myself just before grabbing the 50 ml bottle. Imho they really managed to capture parts of the ballet scene with the pale pink tutus, the chalk dust and the suede of the soft ballet shoes. Very beautiful and captivating. The really nice SA at Penhaligon’s spoke of two kinds of perfume: One that gets you noticed when you enter a room (=Vaara in this case) and another that is left behind when you have left. I like that. I had read so much exciting stuff about Amaranthine here at NST so really looked forward to testing it. Alas. On me it was a mix of dill pickle vinegar and fruit cocktail in syrup. Horrible! Of the classics I like Lavender, which I remember as unusually warm for a lavender. And the bottles are all absolutely lovely! Robin, your review reminded me that I had several unopened (hangs head in shame) from StC. Included in one of them was a decant of Iris Prima and I tried it today. It’s lovely, but way too soft. I only used 2 spritzes so perhaps I need to amp it up. I got the iris and the suede and something sourish. In any case, I will stick to my other irises – Silver Iris, Prada Infusion d’Iris Absolue, Iris 39, Impossible Iris, Iris Silver Mist, Iris Poudre to name a few that I would rather wear than this. I have not really explored the Penhaligon line and must remember to do so in batches the next few times I’m at Saks. I completely agree with your review, Robin. This one really would be all kinds of awesome if it just had a bit more oomph. Penhaligon’s never seems to go for oomph!